Increasing a garden’s productivity even when space, time and energy are limited is easier than you think says gardening expert Melinda Myers. Myers recommends the following planting, maintenance and harvesting techniques for effectively creating a more bountiful harvest this season. Maximize planting space with wider rows. Leave just enough room for plants to reach their maximum size. Make wide rows, 4 to 5 feet wide, so it’s easy to reach all plants for maintenance and harvest. Minimizing walkways means more planting space. Try interplanting crops. Grow short season crops like lettuce and radishes between long season crops like cabbage, tomatoes and peppers. The short season crops will be ready to harvest when the long season crops are reaching mature size. Gardeners will double their harvest and grow more vegetables, not weeds between longer season plants. Grow more plants per row with succession planting. Start the season with cool season vegetables like lettuce and spinach. Once these are harvested and temperatures warm, replace with beans and onions. Harvest these and plant a fall crop of radishes or lettuce. When using these intensive planting techniques, be sure to incorporate a low nitrogen slow release fertilizer, like Milorganite, at the start of the season. Then add a mid-season nutrient boost if needed. The slow release nitrogen won’t burn plants even during the hot dry weather of summer. Plus, it won’t interfere with flowering or fruiting. Go vertical. 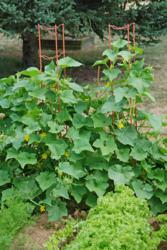 Train vine crops up decorative or functional trellises and supports. Not only will this save space, but it will also reduce disease problems and increase the harvest. Growing cucumbers and melons increase light penetration and air flow, reducing the risk of fungal diseases. Pole beans are much easier to harvest and produce an additional picking. Secure large fruited vegetables like melons to a trellis with a cloth sling. 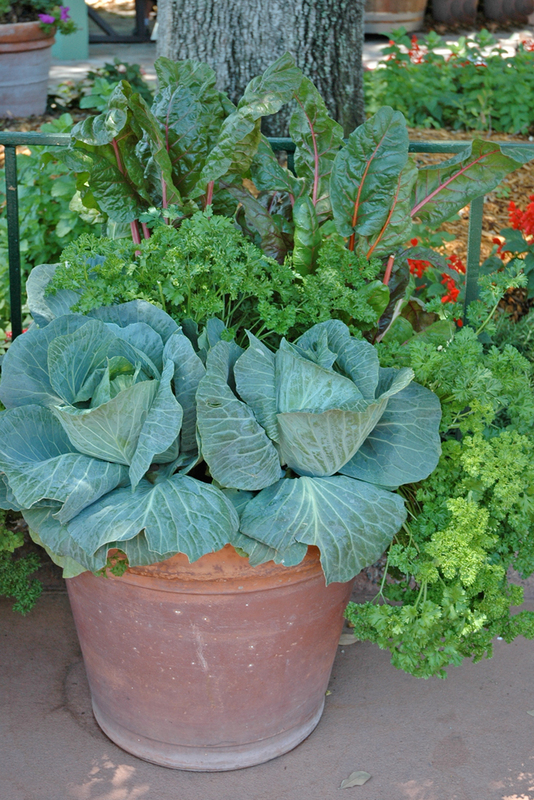 Be sure to plant vegetables in containers if in-ground space is limited. A 5-gallon bucket or comparable size container is perfect for a tomato. Peppers and eggplants will thrive in a bit smaller pot. Grow vine crops in containers and allow them to crawl over the deck or patio instead of valuable gardening space. Mix flowers and herbs in with vegetables. This will increase the beauty while adding additional fragrance to the pot. Harvest often and at the proper time. Zucchini and other summer squash should be picked when 6 to 8 inches long or in the case of patty pan squash when it reaches 3 inches in diameter. The flavor is better than those baseball bat size zucchini and there will still be plenty to eat and share. Harvest cabbage when the head is firm and full size. Leave the bottom leaves and roots intact. Soon there will be 4 or 5 smaller heads to harvest and enjoy. With a bit of planning and creativity there are plenty of ways to increase the enjoyment and harvest in any size garden.